Money owed to a business by its customers is shown on its balance sheet as an asset and given the title of accounts receivable. Accounts receivable are rightly seen today as one of a business's riskiest assets. 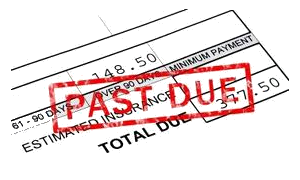 They are a business's hidden debt and a debt is worth little or nothing unless it is turned into a judgment, preventing a year-on-year increase of this risky asset on your balance sheet. A debt is worth nothing, get paid or get judgment. Our pre-action® ADR® service secures and retrieves outstanding monies and accounts. Pre-action® ADR® is the intelligent service in support of accounts receivable, from initial Letter of Claim through to post court judgment enforcement where required. A new approach to an age old problem. Remember, the longer an account remains unpaid the greater the chance it may never be paid.